1) In a large bowl, sift flour and icing sugar together. Rub in butter, until mixture resembles fine breadcrumbs. Add water and mix well. 2) Wrap in greaseproof paper and chill for 1 hour. 4) Roll out 2/3 of pastry to fit sides and base of a greased 27cm flan tin. Brush lightly with egg white. 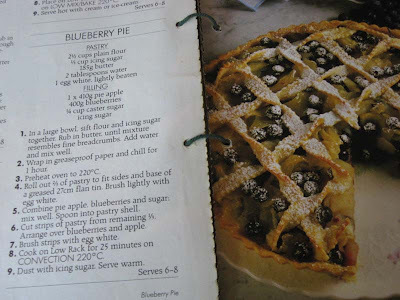 5) Combine pie apple, blueberries and sugar; mix well and spoon into pastry shell. 6) Cut strips of pastry from remaining 1/3. 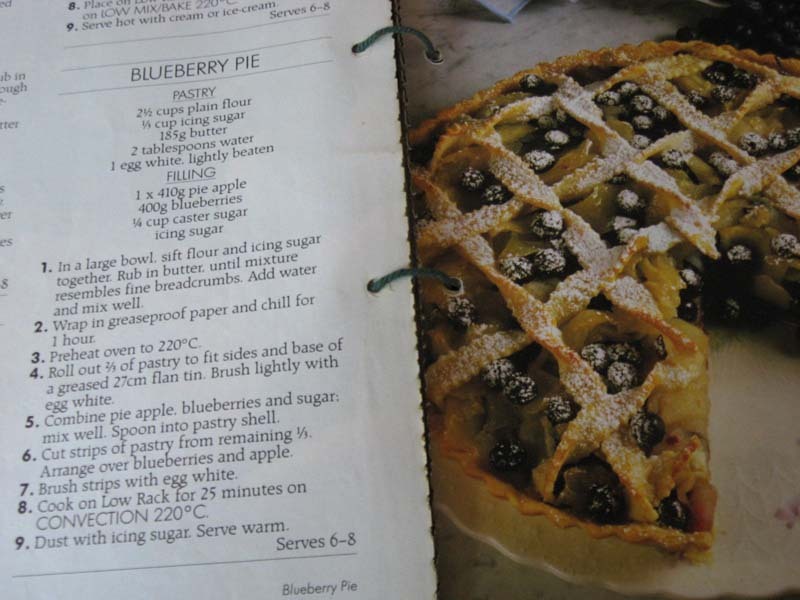 Arrange over blueberries and apple. 7) Brush strip with egg white. 8) Cook for 25 minutes at 220C. Dust with icing sugar. Serve warm.